It is all about Herath, Rangana Herath, more fully : Herath Mudiyanselage Rangana Keerthi Bandara Herath.. .. he was not the Man of the Match though ! Back in Aug 2014, Srilanka beat Pakistan by 105 runs at Colombo. Herath had figures of 9/127 and 5/57. He has so far played 71 tests and taken 313 wickets at an average of 29.64. Pallekele, is a suburb of the city of Kandy in Kandy District, Sri Lanka. The suburb houses the famous Pallekele International Cricket Stadium. Kandy, is the second largest city in the country after Colombo. It was the last capital of the ancient kings' era of Sri Lanka. The city lies in the midst of hills in the Kandy plateau, which crosses an area of tropical plantations, mainly tea. At Pallekele - Sri Lankans beat Australia. The final margin of 106 runs is all the more extraordinary when you consider the way this match began. Sri Lanka were skittled for 117 in the first innings and early in their second were 6 for 2, in real danger of a humiliating innings defeat. They still needed 80 runs just to make Australia bat again. But Kushal Mendis walked to the crease and from then on to play 254 balls making it a different ball game. His hundred, only his second in first-class cricket, will sure be remembered for long by the island Nation. The score card reads : Sri Lanka 117 (Lyon 3-12, Hazlewood 3-21) and 353 (Mendis 176, Starc 4-84) beat Australia203 (Voges 47, Herath 4-49, Sandakan 4-58) and 161 (Smith 55, Herath 5-54) by 106 runs. Chasing 268, Aussies were 83/3 when it rained on day 4. This humiliating defeat makes 7 in a row for Australia in Tests in Asia. This is the worst such streak for a Test team from outside the subcontinent in Asia after West Indies' ten consecutive losses between 1997 and 2002. Australia's last win in Asia came against Sri Lanka, in Galle in 2011. 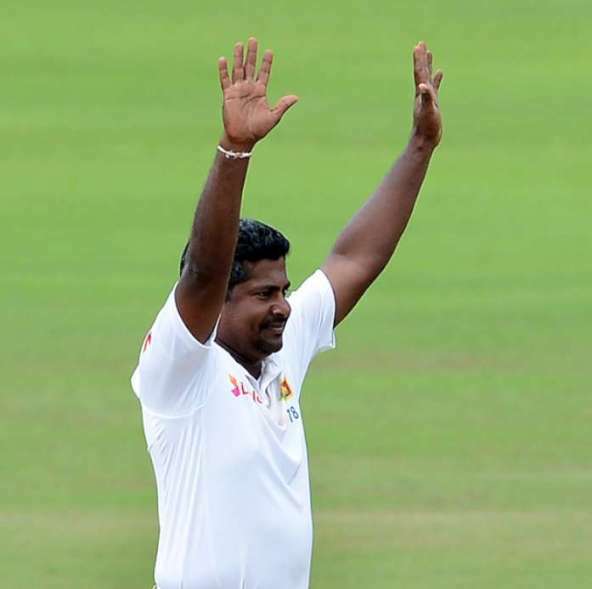 Herath has now taken 7 Five-fors in the fourth innings of Tests, equalling Muttiah Muralitharan's record. The legendary Muralitharan took 35 innings, as opposed to Herath's 29. The other bowler to do this was Shane Warne, who did so in 53 innings. Overall, Herath has taken 24 five-fors in Tests - the tenth-highest overall. Herath's match figures of 9 for 103 were his sixth-best in Tests. There was another record, rather statistical trivia ! = the Lankans bowled record 154 consecutive dot balls during 1st Test victory over Australia – Aussies did not score a single run from the final ball of the 63rd over to the third delivery of the 89th over. The debutant Sandakan had magic figures of 7/107 - the best by a chinaman bowler on Test debut. The man born in 1991 has a rather longish name : Paththamperuma Arachchige Don Lakshan Rangika Sandakan. He anyway is not a loner - Herath, actually is : Herath Mudiyanselage Rangana Keerthi Bandara Herath. To think of some more - Shehan Jayasuriya is : Dampalage Shehan Naveendra Fonseka Gunawardene Jayasuriya. The great left arm fast bowler, Vaas had more initials than his name - Warnakulasuriya Patabendige Ushantha Joseph Chaminda Vaas, is his full name !